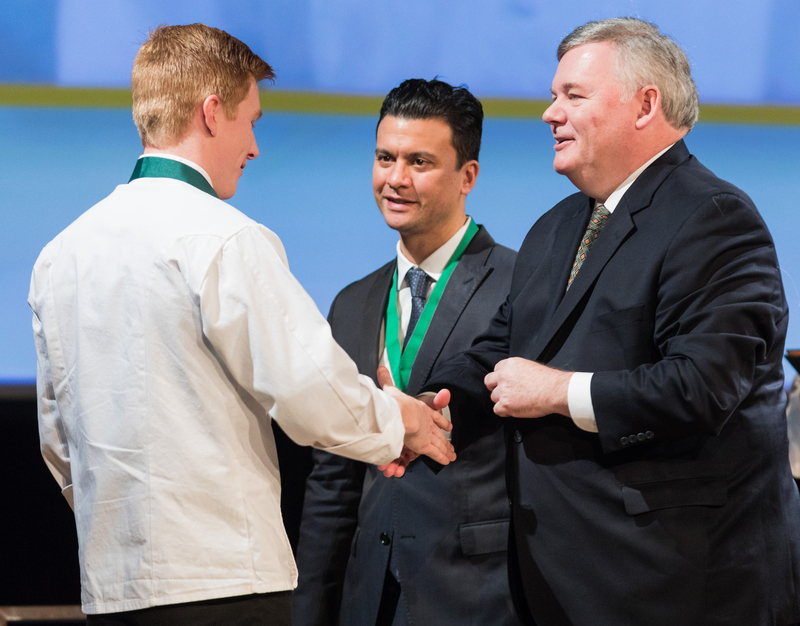 Hyde Park, NY – John Suley, vice president of food and beverage for Great Wolf Resorts, delivered the commencement address at the New York campus of The Culinary Institute of America on January 19. A 1996 CIA graduate, Chef Suley develops and delivers inspired food and beverage experiences for guests at the largest family of water park resorts in North America. Before joining Great Wolf Resorts, he held a similar position at Royal Caribbean International, where he was responsible for food and drink operations for the cruise line’s 25-ship fleet. Prior to Royal Caribbean, he oversaw food and beverage operations for Celebrity Cruises. His professional experience also includes cooking at big-name hotels such as the Fontainebleau and Ritz-Carlton, South Beach in Miami; Waldorf-Astoria and St. Regis in New York City; The Watergate Hotel in Washington, DC; and the Palms Casino and Resort in Las Vegas. He has worked with many renowned chefs during his career, including Daniel Boulud, Laurent Gras, Gray Kunz, and fellow CIA alumnus Alfred Portale. The entire CIA commencement ceremony, including Chef Suley’s address to associate degree graduates, can be seen online.